Looking to download the 2018 Gartner Magic Quadrant for iPaaS report? Click here. We’re thrilled that Gartner has recognized Workato as a leader in the 2018 Gartner Magic Quadrant (MQ) for Enterprise Integration Platform as a Service (iPaaS). This is Workato’s MQ debut, which makes the placement as a Leader very special for us. In fact, to our best knowledge, a vendor new to a Gartner platform MQ has never started off as a leader. It is subsequent validation after Forrester named Workato a leader in its iPaaS for Dynamic Integration Wave in 2016, which was also our very first time participating in the Forrester report. You can read more about what this means for Workato in this article from our CEO, Vijay Tella. What Does It Take to Be an MQ Leader? What does it take to be a Gartner Enterprise iPaaS leader? Vendors are judged on their ability to execute and their completeness of vision. To determine the “ability to execute,” Gartner gathers input from hundreds of customers. Workato ended up with the #1 ratings of all vendors for customer experience. That’s consistent with Workato’s #1 satisfaction score among enterprise iPaaS vendors on G2Crowd, the review platform powered by more than 300,000 independent and authenticated user reviews. It’s also consistent with Workato’s top score on Gartner Peer Reviews. At the same time, Workato grew 300% in 2017 with no sign of slowing down in 2018. These factors show that Workato has a leader’s ability to execute. 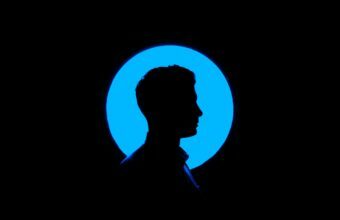 When it comes to “completeness of vision,” the functionally rich, versatile and Enterprise grade Workato product, as well as being a first mover to innovate with AI-enabled capabilities, secured the leadership position. Why didn’t Workato finish up even higher in the quadrant? It’s down to a lack of support for EDI and market awareness that’s not yet on par with vendors who have entered the space 10 to 15 years ahead of us. After a strong 2017 with new top brand customers like Visa, ETrade, Enbridge, Carfax, Panera Bread, Michaels Arts & Crafts, Slack, Box, Splunk, and many more, being named as Gartner MQ leader feels like the “icing on the cake.” It is especially rewarding to see that we got there because our customers truly enjoy Workato and are telling others about it. These customers are using Workato to the fullest; there were 148,678 new integration recipes created on the Workato platform in 2017 alone. That’s 148,678 more ways that our users are more productive and efficient. Workato has also spread quickly. 10,500+ new organizations across 59 countries started using Workato in 2017. It’s been almost 5 years since we started Workato in 2013. Before Workato, the executive team created multiple major integration platforms including TIBCO Rendevouz, BusinessWorks, BEA WLI, and Oracle Fusion Middleware. 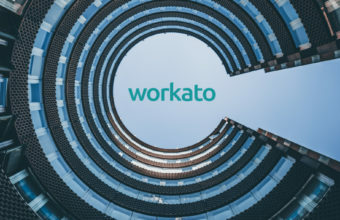 After experiences in consumer software (Qik, Skype, Apple), Big Data (Splunk), and cloud and SaaS (AWS, Force.com), the vision of Workato was to build the integration platform of the future. It was clear that commoditized computing and storage, containerization, and the evolution of machine learning had fundamentally changed the economics for integration platforms. At the same time, the explosion of SaaS apps and emergence of bots and chat platforms had created an entirely new class of complex and diverse integration use cases. In the 30 years that integration has existed, there has never been a more exciting time in the integration space! While there was an earlier “hybrid cloud” transition phase where other integration companies moved integration into the cloud, they did so only in form – not in the spirit of how cloud technology and consumerization trends could transform the old integration paradigms. We felt there were so many opportunities lost in this transition phase. What was really needed was so much more – a fundamentally new, digitally native integration platform for the next 20 years ahead. At Workato, we talk about “intelligent automation” rather than integration. With its research on pervasive integration and hybrid integration platforms (HIP), Gartner recognizes that the integration needs in 2017 have changed significantly from the integration needs of the past. The automation platform for the future couldn’t be a patchwork of tools like in the past. That’s why Workato is a single platform that addresses all the core use cases required for digital transformation — such as data and device integration, app/process/workflow automation, API management, master data hubs, bots/conversational UX, and modern B2B/BPO. In the past, connectors needed to be built ad-hoc for every project. In today’s world of SaaS apps, we can do better. Workato’s key value prop is a set of 300+ pre-built connectors. In 2017, we added another 28 standard connectors and 112 custom connectors. These connectors, with their triggers and actions, make integration projects so much easier. They also do more than just connect – they remove duplicates, ensure data integrity etc. Finally, our HTTP connector allows you to communicate with any cloud-based app’s API so you can build whatever custom triggers or actions you need. Past integration platforms self-limited their impact by being so technical that only a handful of people could ever use them. To integrate, you had to understand the ins and outs of XML and JSON, as well as be an API guru. Only a few such people exist in every organization, hence the ever growing backlog of integrations. We deeply believe that the pervasive and dynamic integrations of the future need to be accomplished by many more people than just developers and integration specialists. That’s why, first of all, Workato has a consumerized UX and an architecture that hides these technical complexities so users can focus on business logic alone. But digital transformation is a team sport. At the speed at which companies have to innovate today, individual teams alone – business or IT – can’t solve the problem on their own. That’s why Workato invested heavily in collaborative teaming, integration lifecycle management, and the fine-grained, policy-based governance necessary for IT to empower lines-of-business users, drive integration best practices, and grow the integration community within an enterprise. Workato is a platform that technical user and business users use together. Last but not least, integrations platforms with an on-prem heritage have a significant operations overhead. Today’s hybrid cloud integration platforms still require you to set up nodes, configure them for high availability, add nodes top scale etc. That’s why Workato has a container-based digital native architecture. Just like with a modern SaaS app, there are no nodes to set up or manage, high availability is built in, and the platform scales dynamically to provide high performance at a significantly lower cost. Workato has no DevOps overhead. Thanks to the cloud and its latest technologies, we could further build on this foundation to truly revolutionize integration beyond its core. We took advantage of these technologies to do the following things. With the various application combinations that businesses use and customize – there are millions of integration scenarios. Hence we created the first-ever integration community to enable people to build and share real integrations. Our community recipe repository offers over 225,000 pre-made integrations that are reused and customized by other customers. Users can copy, edit, and deploy in hours—rather than days or weeks—thanks to our patented recipe cloning technology. AI and machine learning technologies have achieved critical mass over the last few years. Workato heavily leverages AI and ML. Our 2017 Turing Release rolled out machine learning and AI-powered recipe creation to 100% of users via RecipeIQ, which offers ML-based next step recommendations. When you build a recipe, Workato intelligently recommends next steps 67% of the time. And those recommendations are smart—so smart that users accept 73% of them. 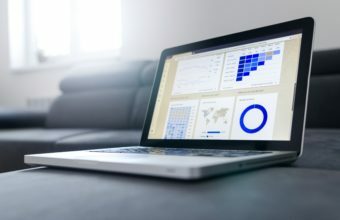 Furthermore, Business intelligence and insight powered by ML can be applied to the transactional data streaming through the platform. From IBM Watson to Salesforce Einstein and Google Cloud Vision, we’re seeing leading companies ask for (and achieve) awe-inspiring workflow automations involving AI, OCR, and more. AI/ML continues to be an ongoing focus at Workato. Expect many new improvements over the next years. Using Slack ourselves, we witnessed how modern chat platforms like Slack and Microsoft Teams can transform work. In the past, integration used to be defined as application to application “plumbing.” We saw Slack and its bot API as an amazing opportunity to redefine what integration can accomplish. We invested heavily in making Workato a “bot building platform” as well as an integration platform, including sophisticated interaction dialogs as well as the ability to embed NLU (natural language understanding). Today, projects involving Slackbot integrations are one of the fastest growing areas of the Workato business where we’re working with top brands like ETrade, Nutanix, Rapid7, Intuit, Sony and Slack itself. Being placed as a leader in the Gartner MQ on our first go is a great way to kick off 2018. For me, however, the best part of this journey is watching our customers, both old and new, adopt Workato and run with it. When we started Workato, we really wanted to cultivate an environment where out-of-the-box thinking and pervasive integration could thrive. Now, Workato users are doing some incredibly creative, innovative things with the platform. One of our customers recently told us that he thinks “integration” really doesn’t describe fully what Workato is all about. His observation was that “Workato makes powerful connections that transform business and drive innovation”. He also truly appreciated how Workato helped his organization to catalyze innovation through Workato’s Work Jams and Idea Jams. This is consistent with other customers who, as part of their “Workato journey” realize step by step that Workato has relevance to many use cases they didn’t think of initially. Almost anything is possible with Workato. The result is viral adoption. The typical customer journey starts with a ramp up period of 10-30 integrations/automations. After about 3 months, we see an acceleration in their usage with active integrations soaring to 120-200. Importantly, the number and types of employees owning these integrations expand as well – from technical users to citizen integrators, admins and analysts. 2-5 users in the first 3 months quickly become 15-30 users with varied roles. A big thank you to all of our customers and our amazing partners. It means a lot to us to have you with us as we grow and evolve. To download the entire Gartner report, click here.